Subcompact hatchbacks are not as popular as they once were, but they still have a lot to offer our buyers in the Midland, Michigan area. 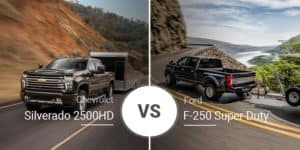 The 2019 Chevy Sonic and 2019 Honda Fit are both great options, but which one is better suited for new-car shoppers in the Freeland and Bay City, Michigan area? Keep reading to find out. The Chevy Sonic and Honda Fit have both been through recent redesigns — the Sonic got its rework in 2017, and the Fit got its facelift in 2018 — but that’s about where their similarities end. 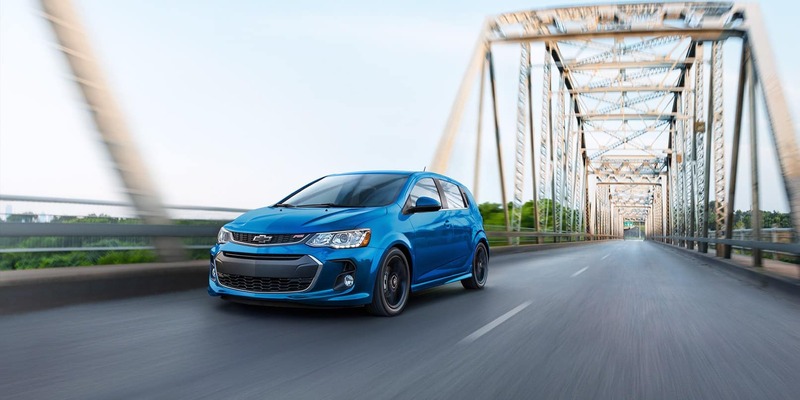 The 2019 Chevy Sonic boasts a more youthful and sporty look to the Fit’s more timid and utilitarian shape. That’s not to say the Fit doesn’t have a dose of fun in its style, but it’s not on the same level as the 2019 Sonic. The 2019 Chevy Sonic is 159.8 inches long, 68.3 inches wide, and 59.3 to 59.7 inches tall. This small body rides on an equally short wheelbase that measures 99.4 inches. 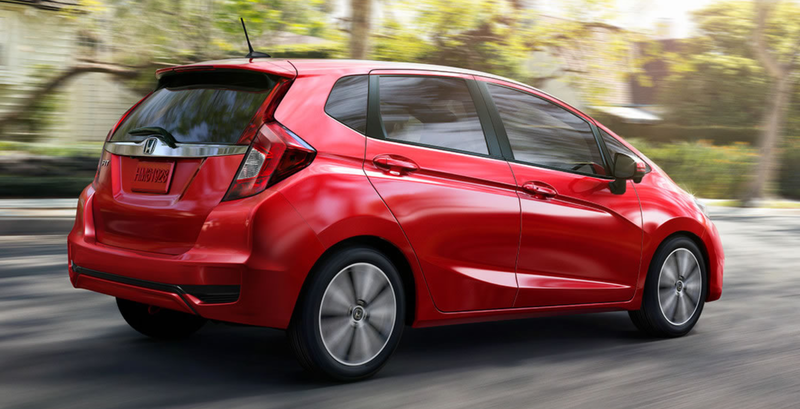 The 2019 Honda Fit is larger than the Sonic in two measurements at 161.4 inches long and 60 inches tall. At 67 inches wide, the Fit is 1.3 inches narrower than the Sonic, giving the latter a wider base for a more stable footprint. The Fit’s wheelbase is also longer at 99.6 inches long. 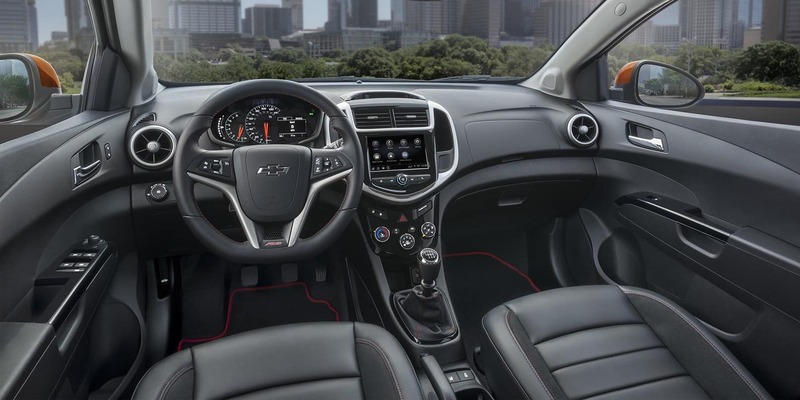 The 2019 Chevy Sonic has plenty of room up front with 38.7 inches of headroom, 41.8 inches of legroom, 53.4 inches of shoulder room, and 51.4 inches of hip room. The Fit beats the Sonic in three of four measurements with 39.5 inches of headroom, 54.8 inches of shoulder room, and 51.5 inches of hip room, but it lacks in legroom at 41.4 inches. In the rear, the 2019 Sonic is plenty roomy for most buyers with 38.1 inches of headroom, 34.6 inches of legroom, 53 inches of shoulder room, and 51.6 inches of hip room. This beats the Fit’s headroom by 0.6 inches, shoulder room by 0.4 inches, and hip room by 6.5 inches. The only place the 2019 Fits wins is legroom, and it wins big as its 39.3 inches beats the Sonic by 4.7 inches. The 2019 Honda Fit and 2019 Chevy Sonic both offer plenty of cargo room. The Sonic’s base cargo room with the seats up measures 19 cubic feet, which is a 2.3-cubic-foot advantage compared to the Fit, but the Honda comes back with 52.7 cubic feet of maximum cargo room, beating the 2019 Sonic by 5 cubes. 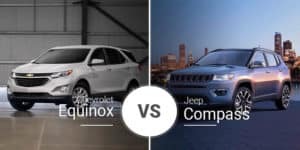 Despite being subcompact models, the 2019 Chevy Sonic and 2019 Honda Fit feature stylish cabins. They include plenty of contrasting accents, large infotainment screens, and premium materials. 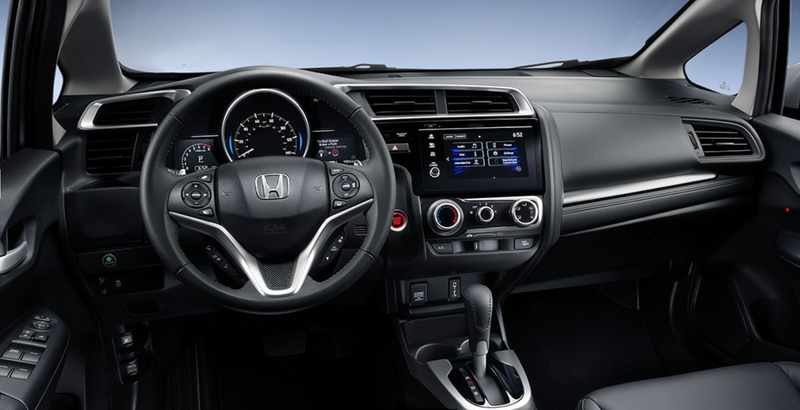 The Honda Fit gets a leg up with its authentic leather option to the Sonic’s leatherette, but the Sonic comes back with its standard 7-inch touchscreen. 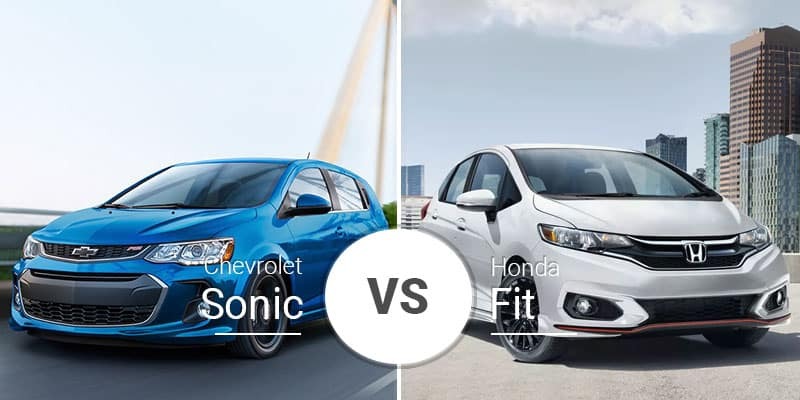 Neither of these small hatchbacks are powerful, but the 2019 Sonic’s standard 1.4-liter turbocharged four-cylinder engine delivers a spritely 138 horsepower and 148 pound-feet of torque. This engine pairs with a standard six-speed manual transmission or an optional six-speed automatic. This results in a 0-to-60 sprint in the low-eight-second range, which is very good for its class. 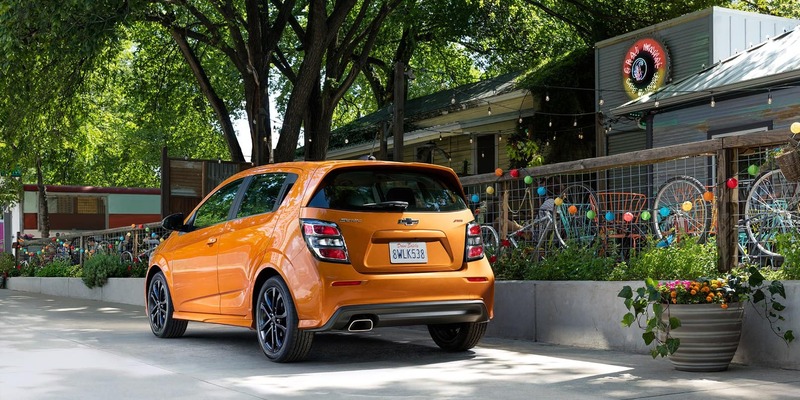 The 2019 Chevy Sonic also has a handful of performance-enhancing options like a lowering suspension and performance exhaust. 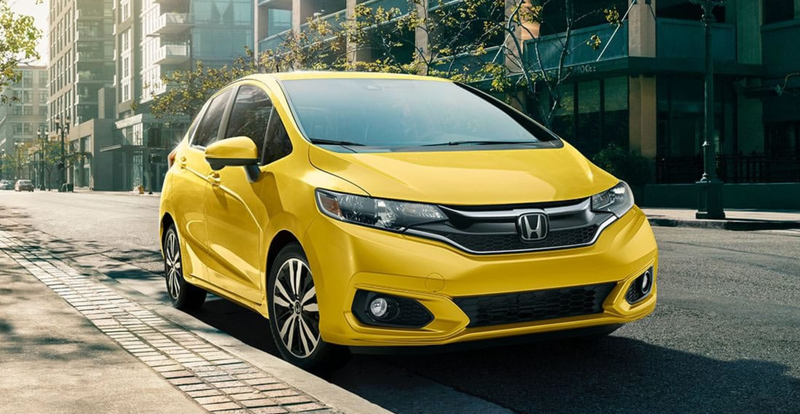 The 2019 Honda Fit forgoes a turbocharged powerplant in favor of a 1.5-liter four-cylinder engine that cranks out up to 130 horsepower and 114 pound-feet of torque. This engine pairs with a standard six-speed automatic transmission and has an available continuously variable transmission. The CVT results in an output penalty, dropping the 1.5-liter to 128 horsepower and 113 pound-feet of torque. Despite its major power disadvantage, the 2019 Fit hits 60 mph in the mid-eight-second range, almost keeping pace with the Sonic. While performance isn’t a key in this segment, fuel economy is. The 2019 Chevy Sonic Hatchback is good at up to 28 mpg city, 37 highway, and 32 combined. 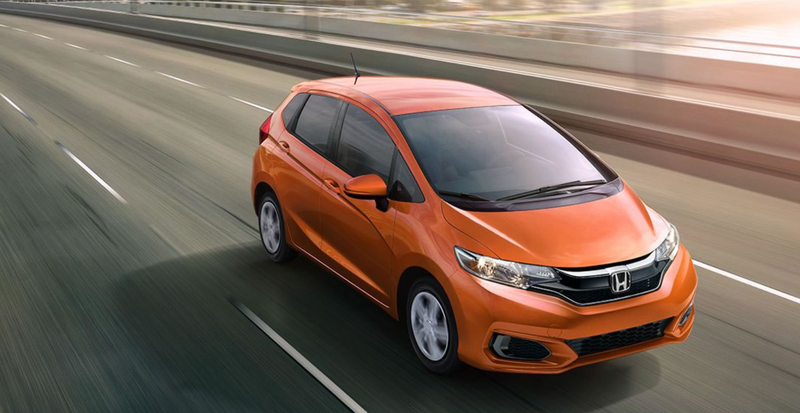 The 2019 Honda Fit is a little better in the fuel-economy game at up to 33 mpg city, 40 highway, and 36 combined. The 2019 Chevy Sonic Hatch is available in four trims: LT Manual, LT Auto, Premier Manual, and Premier Auto. Prices range from $18,895 to $22,395. The 2019 Honda Fit comes in four trims, but there are more distinct differences between them when compared to the Sonic’s trims. The trim levels include LX, Sport, EX, and EX-L. Prices range from $16,190 to $20,520. 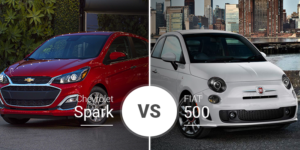 Who Should Buy the 2019 Chevy Sonic? 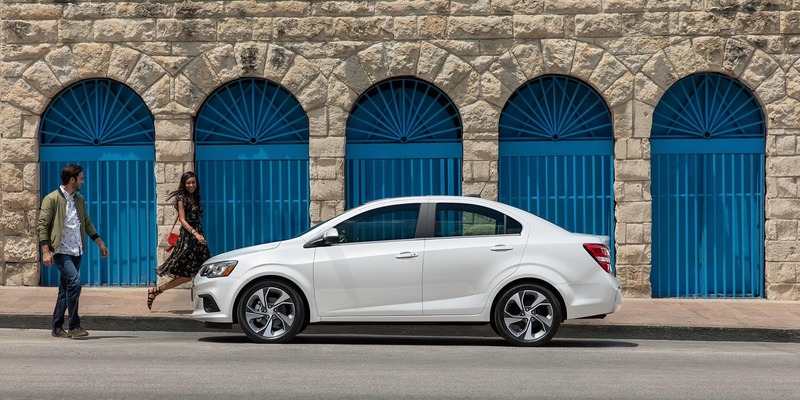 The 2019 Chevy Sonic is great for buyers looking for a sportier subcompact hatchback with decent fuel economy. It caters toward the younger crowd. Who Should Buy the 2019 Honda Fit? The 2019 Honda Fit is best for more established buyers who have a family and need the extra rear seat legroom. Its cargo area also puts it in a great place for buyers who tote around a lot of cargo. Ready to test out the 2019 Chevy Spark through the street of Midland, Michigan? Stop by our new-car showroom serving Freeland and Bay City to test drive the 2019 Sonic. If you can’t make it in today, you can check out our online inventory to make sure we have a Sonic in stock that fits your needs.